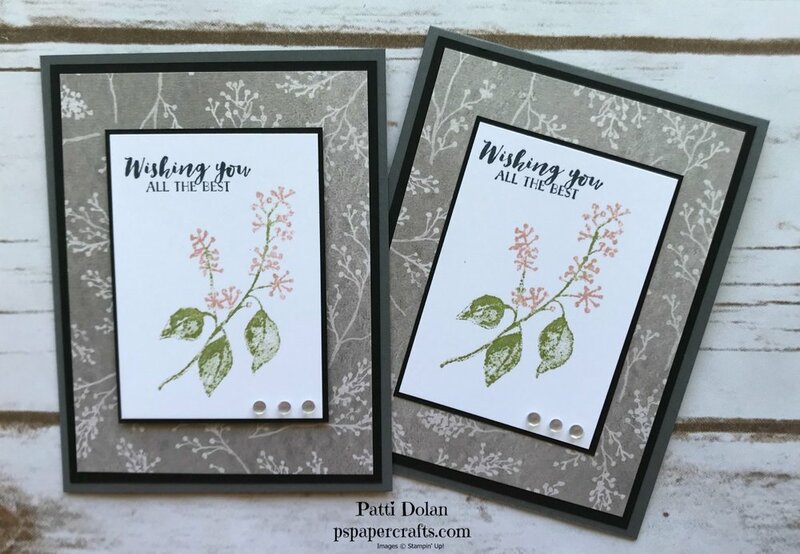 This week I’ve been featuring the Stampin’ Trimmer and sharing dimensions for card bases and layers. I thought I would put this into action with these cards. 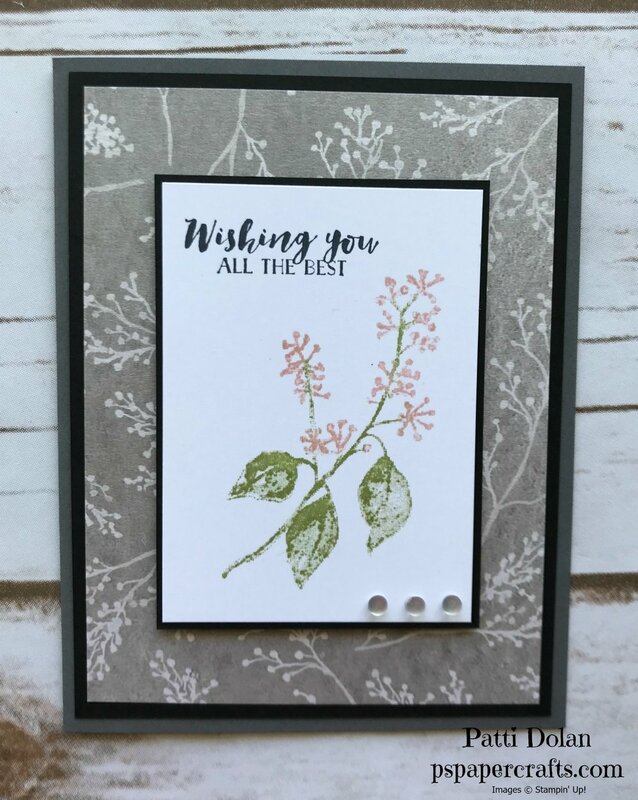 The First Frost Stamp Set and the Frosted Floral DSP coordinate so well together. This DSP is just gorgeous; it has a pearlized glimmer to it. For the flower image, I used Stampin’ Write Markers in Pear Pizzaz and Powder Pink. I colored the stamp with the markers and then breathed on it to moisten before stamping. Three Frosted Epoxy Droplets were added just below the image. On the inside, I have a 5 1/4 x 4 layer that was stamped with the sprigs in Pear Pizzaz and Gray Granite (I stamped off the Gray Granite first to make it a little lighter. Follow along with the video below.